There's no need to bore you with every little detail of how racing games work. 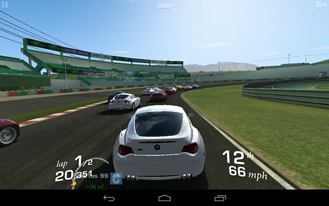 I will say that Real Racing 3 has plenty of event types including, cup races, speed challenges, drag races, sprints, and eliminations. There are also tons of tracks from the Indianapolis Motor Speedway, to Hockenheimring in Germany. Each race you finish nets you experience points and cash (more on that later). 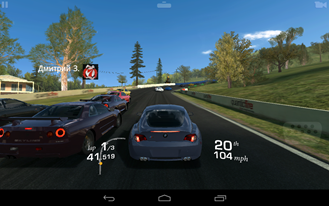 Like most racing titles, you don't have control over the accelerator in your car (in most of the control schemes). When the green light goes on, it's pedal to the metal. Tapping on the screen applies the brake, but that's the only time you need to touch the screen. Steering is handled by the accelerometer, so you can just tilt to turn the wheel. You can turn on more complicated control schemes with an on-screen wheel and manual acceleration, but don't bother. 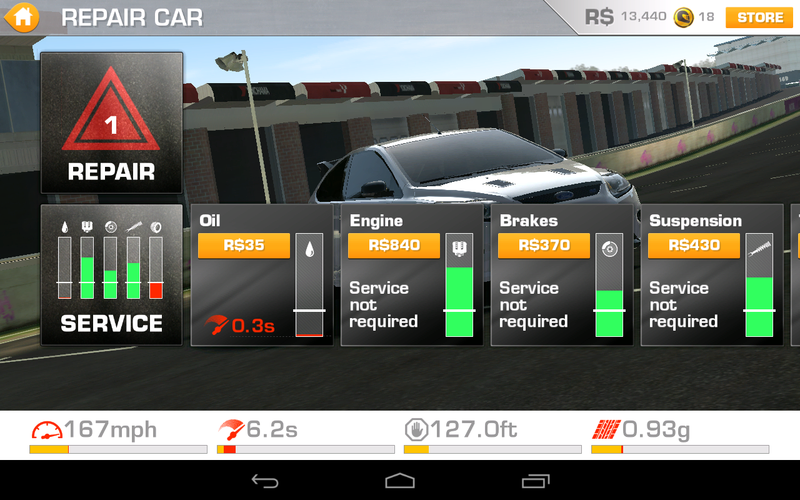 The controls feel very smooth, and the game actually behaves a little differently depending on your car's stats. I appreciate this attention to detail. You can probably tell the controls don't include any crazy special powers or a nitro boost. 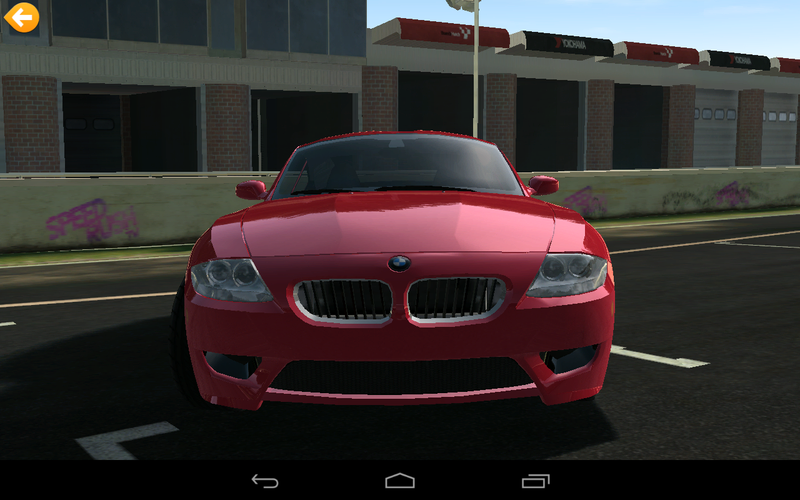 Real Racing 3 is, well... real. You only succeed by driving well, rather than relying on gimmicks to make up distance. The pure racing experience is executed very well in this title. 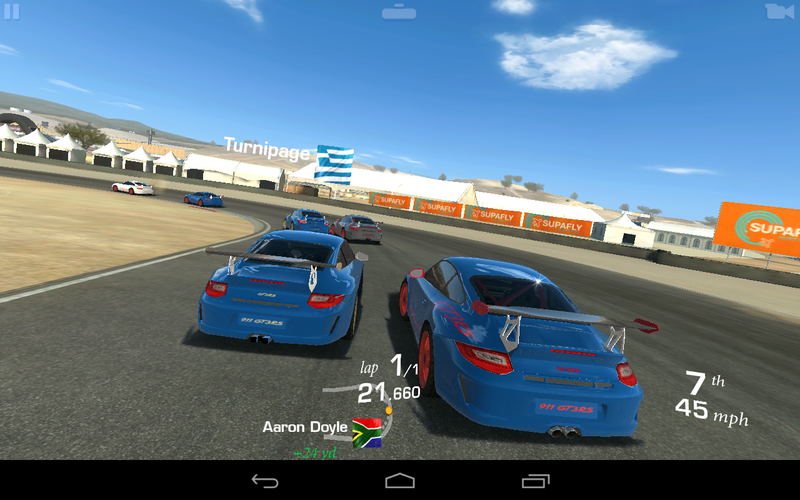 All the events in Real Racing 3 use "time-shifted multiplayer" to fill out the starting line. All the other cars are AI-controlled versions of other real people that have raced that event. EA essentially takes your best runs, and overlays them on someone else's game. 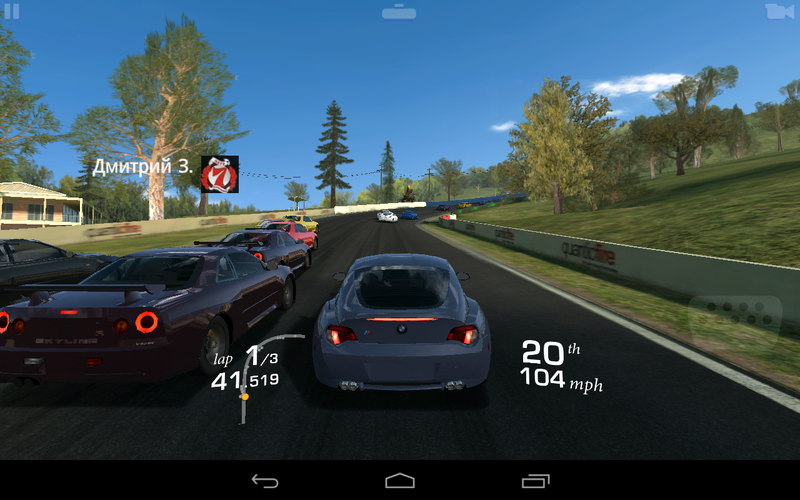 If you sign into Facebook, Real Racing 3 lets you challenge friends to time-shifted races as well. It's a neat idea. The dilemma with relying on in-app purchases is that the developer has a vested interest in making the game harder. Some devs take this too far in an effort to extract more money. Real Racing 3 is not particularly easy as far as racing games go, but it does offer some assists to help you along. Steering assist, brake assist, and traction control are all enabled by default. If you don't want this helping hand, you can turn them all off. Frankly, it's a good thing these options exist. Some players are going to need them, lest they go broke. 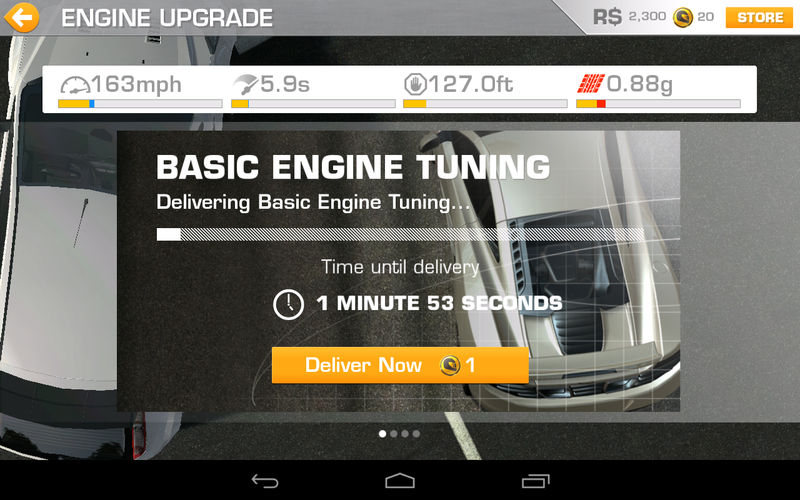 Plenty of games have in-app purchases, but Real Racing 3 takes things a little further by instituting waiting periods when you do certain things. Confused? So was I. 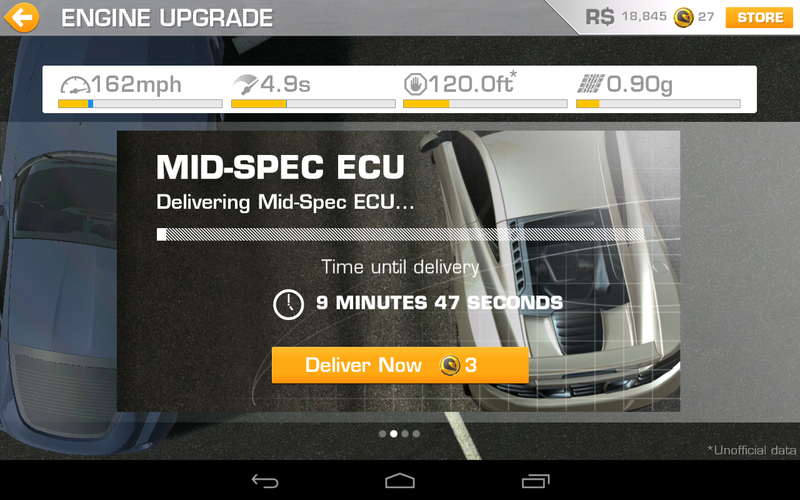 Real Racing 3 has two currency systems: cash and gold. Cash is used to buy upgrades, cars, and repair services. Gold is mostly used to bypass the mandatory wait times. You accumulate a few gold tokens each time you level-up or complete a particularly important challenge, but you have to buy most of them with real money. You would be surprised how often the timer comes up. For instance, not all cars can be used in all series, so you might have to get a new one. If that's the case, get ready to wait for a few minutes while the car is delivered. 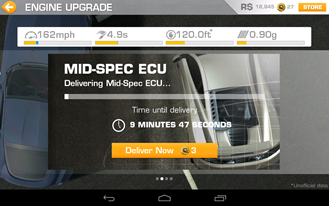 If you want to upgrade a car before racing, there is another wait for that. Racing also wears on the car, which means it needs to be serviced. Again, this is a mandatory wait. Some longer races can drop several of the car's health indicators into the red, so you may need to queue up multiple services at once. Several times I've been staring down the barrel of a 30+ minute wait while the car was being serviced. Bypassing that would cost 8 gold tokens. How much is that? You can get 10 for $1.99. That's an obscene charge to get back to playing your game. 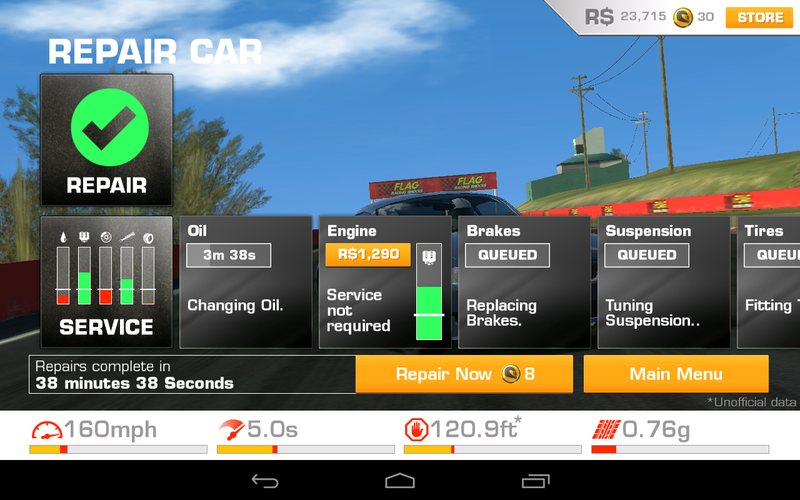 I'd like to get back to playing when a car needs for repairs, but this timer system is just terrible. Sometimes you only get a few minutes of gameplay before it's time for another upgrade or servicing cycle. The only way to get around this is to buy a lot of cars at great expense so you can rotate them in and out. 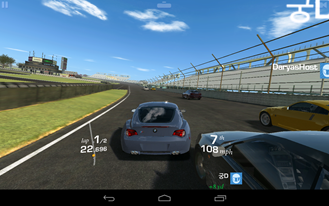 Real Racing 3 has persistent car damage, which means if you run into something or spin off the track, parts of the car will break and need repair. Thankfully, this does not have a built-in wait time, but it does cost you cash. 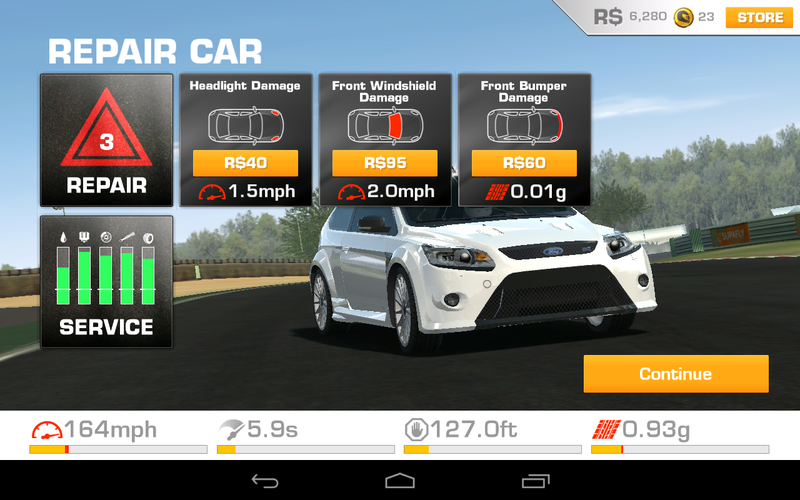 Although I'm not happy with the use of in-app purchases, the damage system does make me feel more connected with the race. I cringe when my car taps a wall, or another car veers into me. That's (potentially) real money, it's costing me. 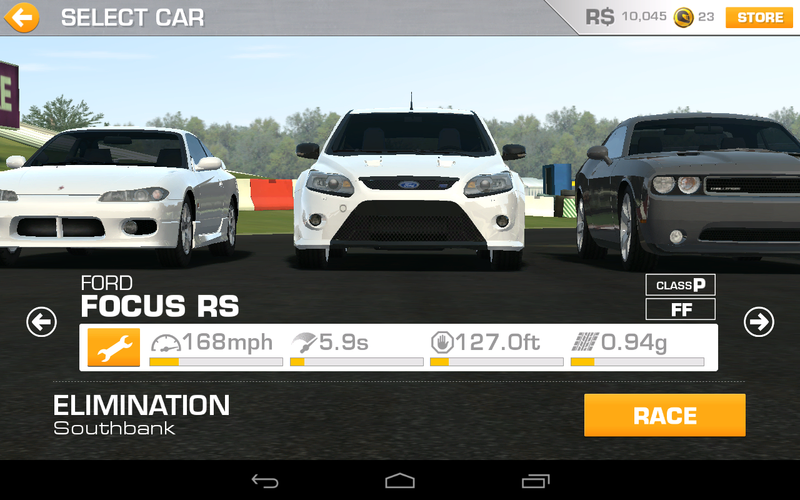 Real Racing 3 is not a small game – it's a 1.7GB download, and it isn't hosted in the Play Store. What you get for that download is a stable of 45 highly-detailed cars from manufacturers like Porsche, BMW, Audi, Nissan, and Ford. Car buffs will be pleased. The graphics are overall good in most places. Reflections and lighting effects look excellent on the cars. The environments are varied and realistic, but there is a lot of aliasing on some of the edges (mostly visible on barriers and buildings). 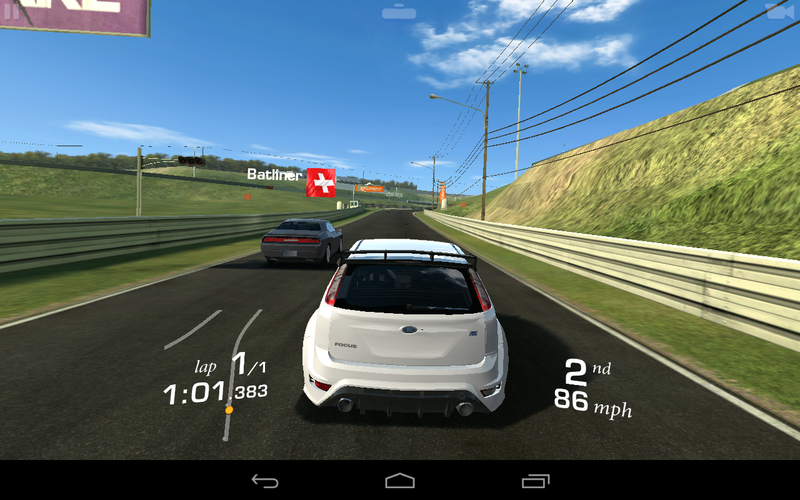 These jaggies aren't super-noticeable when you're at speed, but it makes the Real Racing 3 look a bit rough in places. 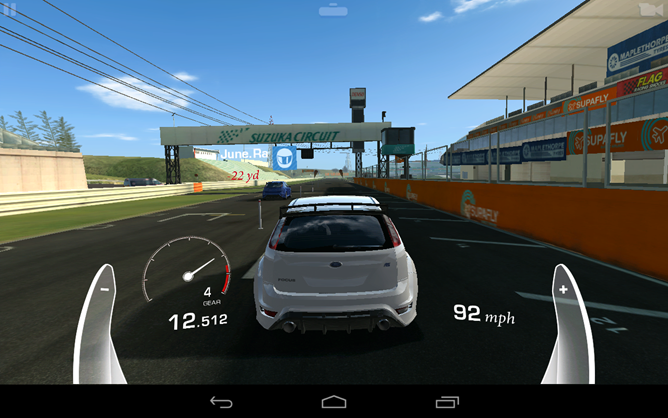 Real Racing 3 is not a bad game, but I'm not sure it's fair to call it good either. The quality of the gameplay is awesome, and the graphics are solid. It's just the heavy use of in-app purchases that interfere with my enjoyment of the game. The timer mechanic is the main problem here. If you're patient, you can grind through by doing something else when a long wait pops up. You'll get a system notification when your car is ready to go. Still, I feel like I can't play Real Racing 3 on my schedule unless I pay an entrance fee. It's unfortunate, because I believe there is an amazing game lurking right beneath the surface, buried under all those pricey gold tokens. That said, Real Racing 3 is fun enough that I'm going to keep it installed.